A solid and well put together rum of intriguing complexity and excellent overall quality. More should not be said, and, indeed, need not be said. It’s good as a sipper or a mixer, over ice or neat. Enjoy. 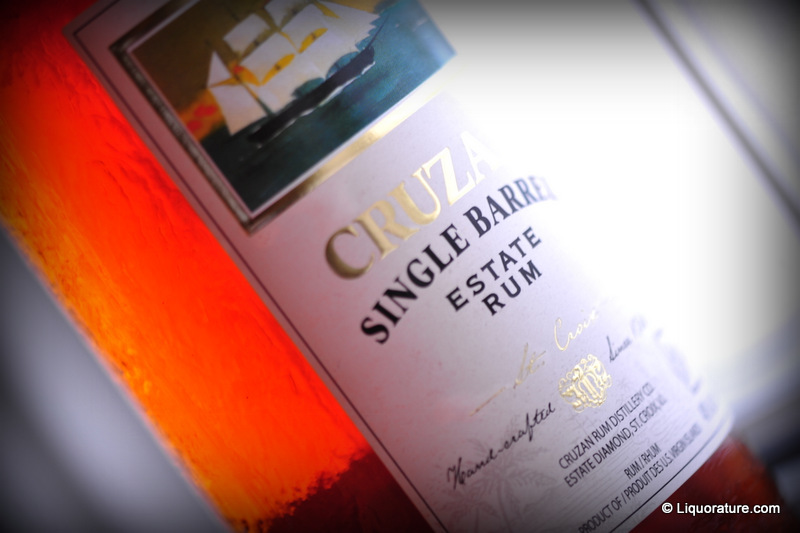 Cruzan is that distillery from St Croix in the West Indies which makes one of my favourite under-$50 rums, the single barrel dark rum, written about and appreciated before I started assigning scores to my reviews. 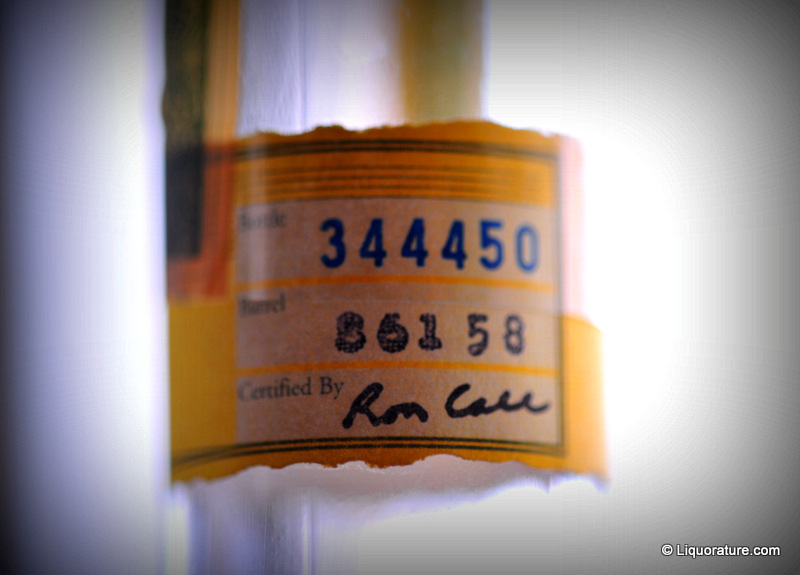 Unlike that somewhat more commercial rum, this one, clearly noted as an estate rum, was also marked as being bottle #344,450 of barrel 86158 and certified by a handwritten signature that looked like Ron Call, which gives it an air of authenticity the other, more beguilingly presented product lacks. Poking around, it’s clear that this is a bottle left over from the days before they changed the presentation back in 2010, to what is now found in stores. In other words, unless you search older stocks for it, it’s likely you won’t find this one any more. Presentation-wise, I’d say it started by pleasing me right off. Pebbled bottle with a wooden tipped cork hatting a long neck, aforementioned little blurb, and the main label with an interesting rendition of a fast clipper from the 1800s. Cruzan has been making rums (officially and unofficially) since 1760 and I guess they wanted to put a little of that old-fashioned history into their presentation. This gold 40% rum – which according to my research is a blend of rums aged up to 12 years — was somewhat different from its successor: slightly sharp on the nose, with scents of green apples, some herbal grassy notes, and a green grapes background. After it opened up a little, I could taste brown sugar, what may have been breakfast spices and some caramel, and citrus and coconut shavings. An interesting melange, very nice indeed. The taste followed on from that, and unlike the Cruzan Single Barrel dark rum, which was nuttier and had more evident notes of butterscotch and burnt sugar, this variant was lighter, cleaner. It was like a golden cognac, almost crisp, a shade drier, and smoother than a baby’s bum. Flavours of coconut chased light sugars and spices (maybe cloves?) and vanilla around, and all I could think is that I was impressed (as I had been with the newer variation) with the overall marriage of flavours. For a rum under fifty bucks, very impressive. The finish was a little ore average, being medium long – there was a certain spiciness on the back end, a last shade of heat – perhaps it was the vanilla/coconut combo teasing me a little before bailing for de Islands. Cruzan Rum was created by the Skeoch family of Estate Diamond in 1934, and was based on a pot still bought by Malcolm Skeoch in 1910 when St. Croix was part of the Danish West Indies (yes, Denmark); he founded the Diamond Rum Company to take advantage of the repeal of Prohibition – St Croix had been bought by the USA in 1917 and so came under the Volstead Act. The brand and estate’s management stayed with the Skeoch family until 1961, under their direct management from its inception until 1964, and tangentially until 1976. 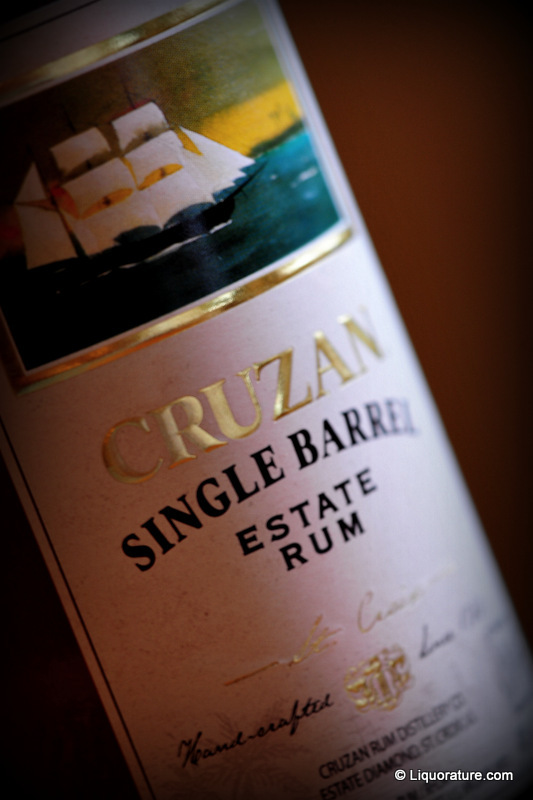 The word “Cruzan” derived from a generic name for rum produced on the island – “ crucian” rum. I’d like to tell you more, but this is one instance when the source of much of my information (http://historyofcruzanrum.com/history/) rewards the person who follows and reads it through – it may be one of the most complete distillery histories I’ve ever read, and far too much to even try abridging here. Returning to this excellent sub-$50 gem, I confess to being quite pleased with its quality. Nose and palate are excellent, the fade pretty good, and it’s an overall very solid above-mid-tier rum. Because I was busy tonight rearranging older posts and getting my photographs put together I did not spend as much time writing the usual flowery hyperbole that would grace a strongly emotive review….but suffice to say I was sipping this excellent product of Cruzan’s throughout and highly recommend it no matter what you yourself are up to.